"An Interpreter for the hearig impaired will be available with advance notice of request"
Of, by and for the people. The United States is the world’s oldest democracy, and we understand the importance of constantly striving to live up to our greatest ideal—a country governed of, by and for the people. Equal justice. “Equal justice under law” is the noble goal carved in stone above the entrance to the U.S. Supreme Court, and it’s a promise we all must resolve to keep. Freedom. The basic premise of American equality means all of us, regardless of our differences, enjoy the freedom to live, love and work as we see fit, and that includes joining and forming unions to negotiate for fair pay and benefits. Unity. What unites us is far stronger than anything that might divide us, which is the founding truth of America. Unity is never more vital than when it seems the most difficult to achieve. In unity, there is always strength. 92-201809/21/2018 - APWU President Mark Dimondstein has announced that the union and the Postal Service have agreed to extend negotiations for a new collective bargaining agreement for 30 days. 19-201802/23/2018 - On February 9, the Clerk Craft reached a $49.9 million dollar settlement with the USPS on POStPlan staffing violations. The monetary settlement follows a ruling by Arbitrator Stephen Goldberg that the Postal Service violated Arbitrator Goldberg’s previous award of September 5, 2014 and a subsequent Memorandum of Understanding (MOU) dated September 22, 2014. The dispute was initiated after the Postal Service admittedly failed to honor their agreement that after December 22, 2014, the ‘POStPlan’ Remotely-Managed Post Offices (RMPOs) open 4 or 6 hours a day would be staffed with bargaining unit clerks, and Level 18 offices would be staffed with career employees. Long after the agreement, Postmaster Reliefs (PMRs) were still working in 4 or 6 hour RMPOs across the country and Level 18 offices reported still using PSEs instead of career employees. The money from the settlement will be distributed among Clerk Craft employees to be identified by the National APWU. The Postal Service is required to cooperate and provide information necessary for the union to identify employees eligible for payment. Updates on the implementation of the settlement agreement will be provided to local/state organizations and the membership through the APWU website. “It is important we have arbitrators willing to rule that monetary payments and other strong remedies are necessary to address willful and/or repeated violations of the contract,” said Clerk Division Director Clint Burleson, “It is even more important that the membership work together to develop the leverage to win grievances at the local level and ideally prevent violations from occurring in the first place. On March 22, The Postal Service Reform Act of 2018 (S. 2629) was introduced in the U.S. Senate. 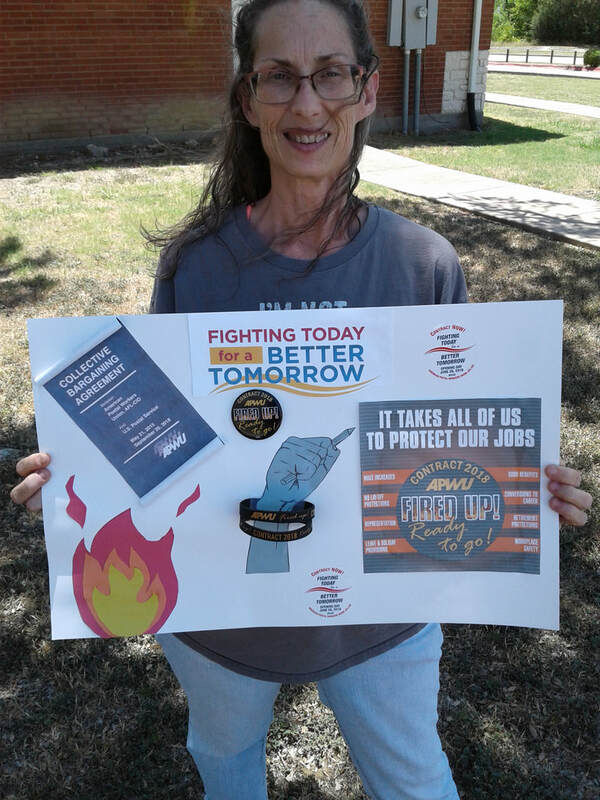 The APWU recognizes the efforts of the four bi-partisan Senators who worked to craft and co-sponsor the proposed legislation - Tom Carper (D-DE), Jerry Moran (R-KS), Heidi Heitkamp (D-ND) and Claire McCaskill (D-MO). 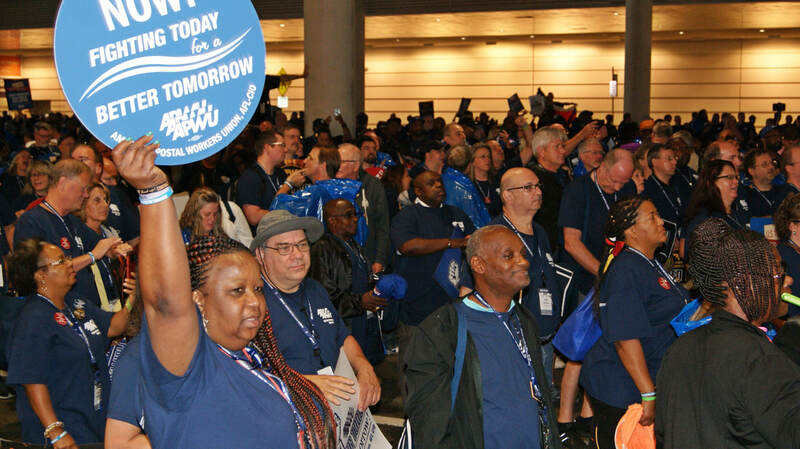 “The APWU appreciates their efforts to achieve postal legislative reform that is fair to the APWU members, postal workers in general, the public Postal Service and postal customers,” said Legislative & Political Director Judy Beard. Much of the Senate bill is based on the foundation of H.R. 756, a bill introduced in the House of Representatives, which the APWU supports (while still seeking some improvements). H.R. 756 is currently stalled in the House. What are the benefits of Labor Unions? "SRT Positions assigned to Clerk Craft"
After extensive discussions, the parties were not able to agree to a financial remedy and the case has been rescheduled before Arbitrator Goldberg, who retained jurisdiction on the financial remedy for April 19th-20th. The Postal Service was required to cease and desist the violation of assigning injured employees to the SRT and that violation is ongoing and still a subject of the continuing violation for the financial remedy. The USPS will be eventually assigning those employees utilizing Section 546 of the ELM. The APWU position is that they still have to abide by Article 37.3.A.1 and the Rehabilitation MOU. 3. Post SRT work assignments for bid by clerks without delay. Additional duty assignments would have to be posted, if as of the work week of the date of the arbitration award (December 8, 2016-attachment #3), there were more employees assigned to the site than listed in the 2/24/17 notice. You would need the PS Form 50, copy of the modified assignment and the Employee Hours Report to justify and support any additional job postings. The parties agreed that the duty assignments being posted should mirror the work schedules of the current injured employees working in each specific SRT site, absent any unusual circumstances. The local parties have the right to mutually determine these changes, if needed. 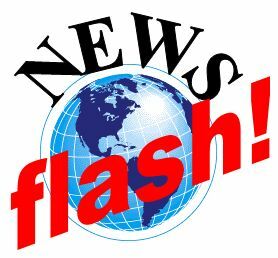 Article 37.3 language applies for the posting of the new duty assignments. (The last document is the posting schedules that was challenged and the USPS agreed to message the field to eliminate the Tour 3 assignments and any schedules with non-scheduled dates other than Saturday andSunday, unless the current injured employees had similar assignments the week of the award date (December 8, 2016). The other issue unresolved is the identification of the standard position description and the pay levels of the duty assignments in the SRT. We will be filing a national dispute over the USPS identification of the duty assignments as Customer Care Agent Tier-1 (level-6) via their notice to the APWU dated February 10, 2017 (attachment 2) and their unilateral change to already existing standard position description only authorized only in Customer Care Center (Corporate Call Centers in the Clerk Craft Jobs MOU). Those sites are only located in Troy, Los Angeles, Edison (Kilmer) and Wichita. The Postal Service stated they mirrored these jobs only to expedite the posting of the assignments. APWU takes the position that the standard position description should have been based on the duties that established the SRT modified assignments. We are also reserving the right to challenge the levels of the pay based on the duties expected to be performed. The duty assignments should have been posted as some form of Sales Retention Team Agent. In the event the pay levels are challenged and the APWU is successful, Article 37.3.A.9 is applicable. It is very important that this information is shared with your members so that they can make informed decisions. the union's Committee on Political Action, was created to raise voluntary political campaign contributions from our Union's active and retired members, as well as members of the APWU Auxiliary to support the campaigns of candidates for public office who share our values and goals. We as members may not support the same political parties, but as working men and women, it is imperative we all support those who support us; otherwise we will become part of the "forgotten class" rather then the ''middle class." On Tuesday afternoon, the highest governing body of the American Postal Workers Union hit the streets to protest against the possible sale of the U.S. Postal Service. American Postal Workers Union AFL-CI0 and Union all across America, Canada, Europe and the rest of the world are fighting today, now, and tomorrow, for a better tomorrow. Labor is a age old fight, we can’t give up, as our future, the future of our children, and their children depend on what we as working class stand up for today. The fundamental right to all should be a fair days pay for a fair days work, and that pay should enable every working class to be able to live a comfortable lifestyle. The Greedy hands of businesses, Wall Street, and the government, through the people we have elected, are out only for themselves. They are lining their pockets with dollars while the workers of America are scrapping their pockets for pennies. We as a Union are not going to stand by and watch that happen without a fight! 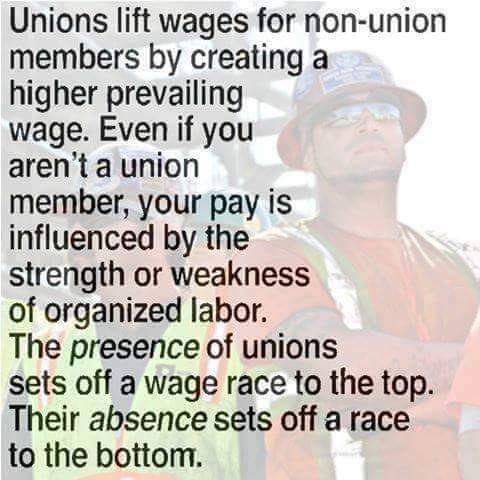 A Labor Union or trades union, is workers who have come together to achieve a vast number of goals; such as improving safety standards, better wages, benefits (such as vacation, health care, and retirement), and working conditions through the bargaining power of the majority the collective members. The unions, through its leadership, bargains with the employer on behalf of union members and negotiates labor contracts with employers. The most common purpose of these unions is "maintaining or improving the conditions of their employment. This may include the negotiation of wages, work rules, complaint procedures, rules governing hiring, firing and promotion of workers, benefits, work place safety and policies. Texas is under an Open Shop Union. An open shop does not require union membership in employing or keeping workers. Where a union is active, workers who do not contribute to a union may include those who approve of the union contract (free riders) and those who do not. In the United States, state level right-to-work laws mandate the open shop in some states, that is, all discrimination based on union membership is forbidden. This affects the bargaining power, function and services of the union. The role labor unions have played in raising living standards and improving the quality of life for working people in the United States. While most people recognize that unions have been beneficial for their members, there is little known about the role of labor unions in winning the 40-hour workweek. In the 1800s, many Americans worked seventy hours or more per week and the length of the workweek became an important political issue. In the United States, a few limited eight-hour-day laws were on the books shortly after the Civil War. One, in Illinois, was passed in 1867, followed in 1868 by a law covering certain classes of federal workers. So a reduction in the work week became a leading issue for the labor movement and the struggle to win the 40-hour work week is the thread that ties together the history of American Labor. 1866 – The country’s first union federation, The National Labor Union, urged Congress to pass a law mandating the eight-hour workday. May 1, 1867 – The Illinois Legislature passed a law mandating an eight-hour workday. Many employers refused to cooperate, and a massive strike erupted in Chicago. May 1, 1886 – The Federation of Organized Trades and Labor Unions (later the AFL) called for a national strike. Nearly one million American workers stopped work that day. The purpose of the “May Day Strike” was to bring pressure on employers and state governments to create an eight-hour workday. May 4, 1886 – The “Haymarket Affair” took place at a labor demonstration at Haymarket Square in Chicago. It began as a peaceful rally in support of workers striking for an eight-hour day. An unknown person threw a dynamite bomb as police acted to disperse the public meeting. The bomb blast and ensuing gunfire resulted in the deaths of seven police officers and at least four civilians; dozens of others were wounded. 1898 – The United Mine Workers won an eight-hour work day. 1906 – The eight-hour day was widely instituted throughout the printing industry. 1910 – Massachusetts, Minnesota, Oregon, and Utah, reduced the legal workweek limit for women from 54 to 48 hours. 1914 – Ford Motor Company instituted eight-hour shifts and raised wages. However, many Ford workers still worked six days a week. 1916 – Congress passed the Adamson Act, a federal law that established an eight-hour workday for interstate railroad workers, with additional pay for overtime work. 1940 – Congress amends the Fair Labor Standards Act, reducing the federal workweek limit to 40 hours. The realization of the 40-hour workweek that has become standard across many American industries was hard fought. It took deadly accidents and employees banding together to make it happen. Let’s not take these gains for granted. We must forever remain vigilant in our fight for respect, justice and safe working conditions. 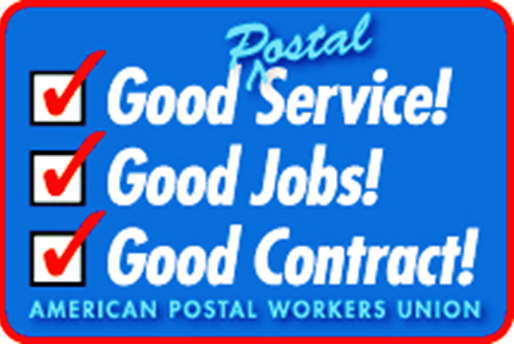 The American Postal Workers Union, AFL-CIO, represents more than 200,000 employees of the U.S. Postal Service who are clerks, maintenance employees, and motor vehicle service workers. Postal unions, dating back to the 19th Century, have experienced a number of transitions, paralleling the growth of the former Post Office Department, which became the U.S. Postal Service in 1970. Upon the creation of the USPS, postal unions were allowed to bargain collectively over wages and conditions for the first time. The early unions had essentially no bargaining rights — they existed largely as lobbying organizations that otherwise would have had no say about their working conditions. Wage increases depended on the whim of Congress. As a result, postal workers were chronically underpaid. In March 1970, full-time employees earned about $6,200 to start, and workers with 21 years of service averaged only $8,440 — barely enough to make ends meet at that time. In fact, many postal workers qualified for food stamps. The sporadic raises they did receive never seemed to amount to much, particularly in high-cost urban areas. From 1967 to 1969, postal wages were not increased at all, although Congress did raise its own pay 41 percent during that time. In 1968, the Kappel Commission, a special panel that had been studying postal reform during President Johnson's administration, concluded that postal workers deserved the same collective bargaining rights afforded to private-sector workers under the National Labor Relations Act. Congress failed to act on the commission's recommendation. Workers grew increasingly frustrated with Congress's inaction, and on March 18, 1970, thousands of New York City postal workers walked off the job in protest. Within days, they were joined by 200,000 others in 30 major cities. Mail service ground to a halt and the plight of postal workers was brought to the public's attention. [Time Magazine article, March 30, 1970] The strike was soon settled, with Congress approving a 6 percent wage increase, retroactive to the previous December.The strike served as an impetus for the enactment of the Postal Reorganization Act of 1970, which granted unions the right to negotiate with management over their wages, benefits and working conditions. In lieu of the right to strike, a binding arbitration process was established for resolving contract disputes. The law granted postal workers an additional 8 percent raise and enabled them to advance more quickly to higher-paying positions. In the first contract, a starting postal worker's salary was raised to $8,488: slightly more than a 21-year veteran of the Post Office Department had been getting just three years earlier. Since that first contract more than four decades ago, APWU has fought for dignity and respect on the job for the workers we represent, as well as for decent pay and benefits and safe working conditions. And as part of the AFL-CIO, the APWU fights for social and economic justice for all working families. Click here to watch a 16-minute video about the Great Postal Strike of 1970. The Merger The APWU was founded on July 1, 1971, the result of a merger of five postal unions. The two largest unions involved in the merger were the United Federation of Postal Clerks, which represented those who "worked the windows" at post offices and those who sorted and processed mail behind the scenes, and the National Postal Union, which claimed members in each craft. Both traced their origins to the National Federation of Postal Clerks, which was created in Chicago in 1906. Two smaller unions involved in the merger were the National Association of Post Office and General Service Maintenance Employees, which represented those who serviced and repaired machines located in postal facilities, and who cleaned and maintained the facilities; and the National Federation of Motor Vehicle Employees, which represented workers who drove, repaired, and serviced postal vehicles. The smallest union in the merger was the National Association of Special Delivery Messengers. All these workers are now covered by a single contract negotiated by representatives of all the crafts within the single labor organization, the American Postal Workers Union. Since the Merger Four months before the Postal Reorganization Act was signed into law, U.S. Post Office Department management and postal unions announced a joint agreement on a reorganization plan. When the PRA became law on Aug. 12, 1970, it created the United States Postal Service, which on Jan. 20, 1971, participated in the first collective bargaining session with seven postal unions, including five that were soon to merge into the APWU. Exactly six months later, on July 20, 1971, a two-year contract was signed by the new USPS and the APWU unions, along with the National Association of Letter Carriers (NALC), the National Rural Letter Carriers Association (NRLCA), and the National Postal Mail-Handlers Union (NPMHU). In 1973, 1975, and 1978, the APWU, NALC, NPMHU, and NRLCA bargained jointly as they had in 1971. In 1981, however, the APWU and NALC formed the Joint Bargaining Committee (JBC) and negotiated together. The JBC negotiated three-year contracts with the USPS in 1981, 1984, and 1987, and a four-year agreement in 1990. Since 1994, the APWU has bargained on its own. Successive agreements ran from 1994-1998, 1998-2000, and 2000-2003. In December 2002, the APWU membership voted to extend the 2000 agreement by two years, until Nov. 20, 2005. In August 2005, APWU members ratified a one-year contract extension. 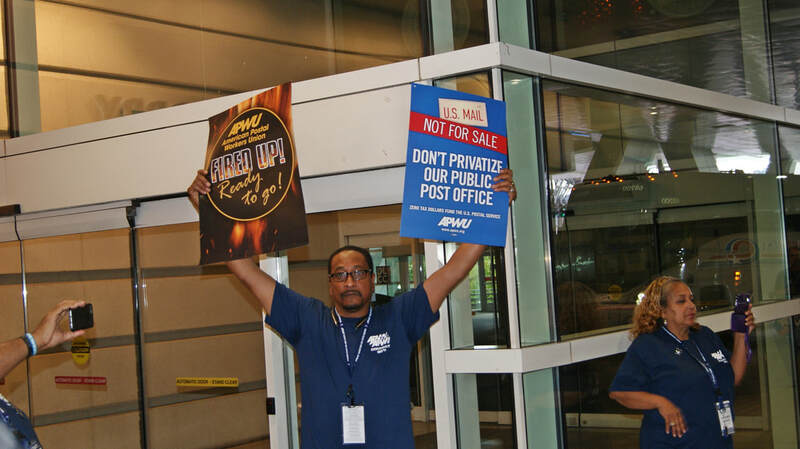 In late 2006, the union reached an agreement with the Postal Service for a four-year contract, which was ratified overwhelmingly APWU members on Jan. 12, 2007. On May 11, 2011, members approved a new Collective Bargaining Agreement, which expired on May 20, 2015. After months of negotiations, mediation and arbitration, on July 8, 2016, Arbitration Stephen Goldberg issued an interest arbitration award for a new three-year contract which expires on Sept, 20, 2018. ​APWU History (1874-1970)The APWU can trace its history as far back as 1874, when the Railway Mail Mutual Benefit Association (RMMBA) was formed. While the railroad clerks were mainly interested in securing a low-rate life insurance plan, the "MBA" also tried to lobby for improved wages and working conditions. In 1891, MBA representatives met in Cincinnati and formed the National Association of Railway Postal Clerks (NARPC). In 1904, NARPC changed its name to the Railway Mail Association (RMA). In 1949, the RMA changed its name to the National Postal Transport Association (NPTA). At the time, 28,000 NPTA members were employed by the Post Office. In 1961, the NPTA joined with two of the three largest postal clerk unions (NFPOC and UNAPOC) to form the 115,000-member United Federation of Postal Clerks (UFPC). NFPOC, the National Federation of Post Office Clerks, was chartered in 1906. Because the organization's locals hailed from seven cities that were as far apart as San Francisco and Nashville, this is considered the birth of the truly national postal workers union. Some historical records indicate that UNAPOC, the United National Association of Post Office Clerks, existed in some form as early as 1881. It is known that an organizational meeting held in New York City in November 1899 resulted in the adoption of a constitution in early 1900. The rival NFPOC and UNAPOC periodically made attempts to join forces, with NFPOC, however, insisting that the other organization first needed to behave more like a union, which included not permitting supervisors among its ranks. In 1957, UNAPOC made significant changes, including to its name. After nearly 60 years, the "C" officially stood not for "Clerks" but for "Craftsmen." This was key to its perception of itself as representing a craft; supervisors could do clerks' work, but they couldn't be part of the craft. In 1961, NFPOC and UNAPOC formed the UFPC, the United Federation of Postal Clerks. 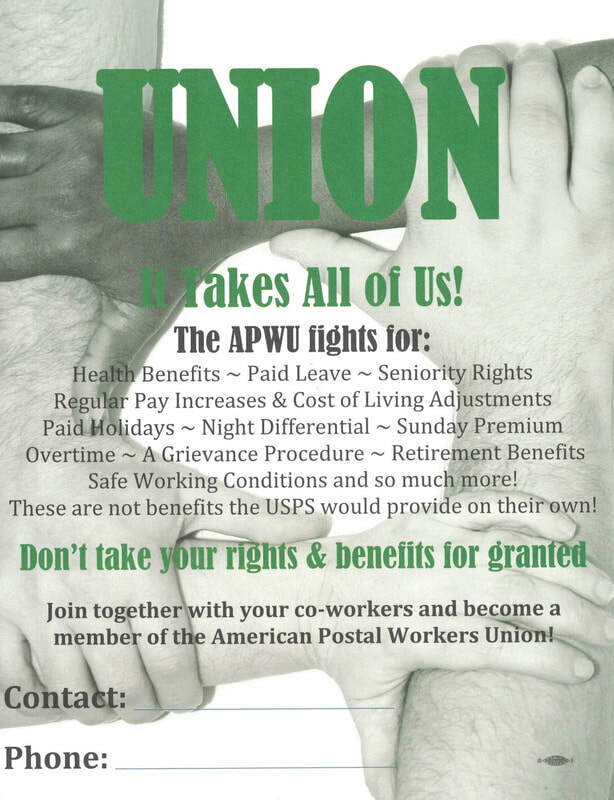 One other group is central to the history of the APWU, the short-lived National Postal Union. At the NFPOC convention in 1958, a group calling itself the "Progressives" disaffiliated and formed the National Postal Clerks Union. At its second convention, the NPCU dropped "clerks" from its name and became the NPU. The NPU did not join with NFPOC and UNAPOC when they formed the UFPC in 1961; it remained an independent postal union until the merger that created the APWU in 1971. Prior to the merger, the UFPC was one of seven unions, including four other future APWU units, to be part of the first negotiations with the newly created Postal Service. The NPO was not part of the seven-union coalition bargaining team. The seven unions that bargained the first contract with the USPS included the UFPC (Clerk Craft); the NAPO&GSME (Maintenance Craft); the NFPOMVE (Motor Vehicle Service Craft); and the NASDM (Special Delivery Messenger Craft). The earliest piece of today's APWU Maintenance Division was the National Association of Post Office Mechanics (NAPOM), formed in 1937. NAPOCE, the National Association of Post Office Custodial Employees was formed a year later. In 1945, NAPOM changed its name to the National Association of Post Office Mechanics and Maintenance Employees (NAPOM&ME) and in 1947, that organization and NAPOCE merged, creating the National Association of Post Office and General Service Maintenance Employees (NAPO&GSME), which in 1971 became the APWU Maintenance Division. The National Association of Special Delivery Messengers (NASDM) was created in 1932. Originally the messengers were contract employees with local postmasters. They were brought into the Civil Service system in 1942. There were 2,500 postal employees in the NASDM at the time of the merger in 1971. 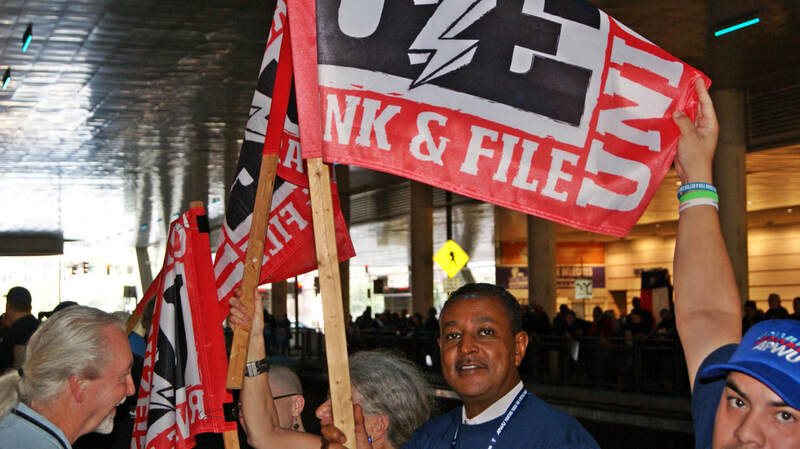 In 1998, delegates to the APWU National Convention approved the merger of the SDM Craft into the Clerk Craft. 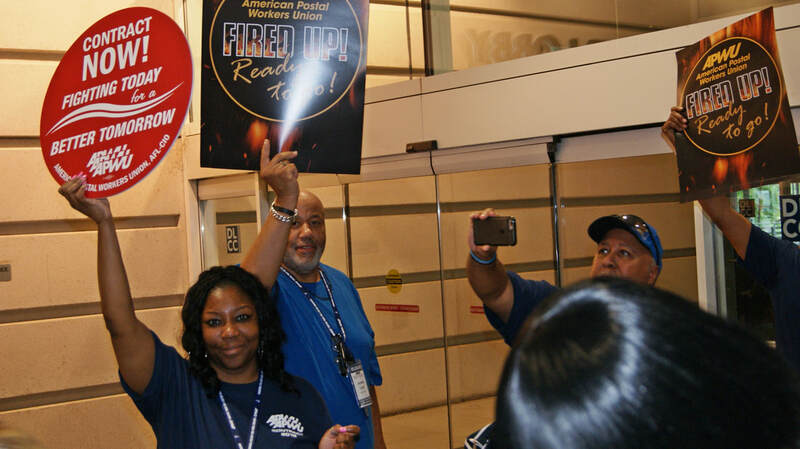 "Members of American Postal Workers Union got fired up for opening of collective bargaining with a raucous rally on evening before negotiations began, promising intense member engagement across country.It wasn’t just a packed room of APWU leaders and supporters who participated. 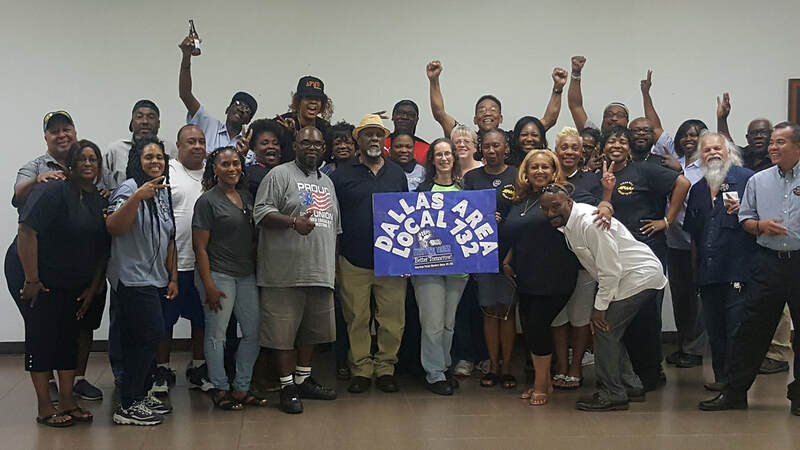 In fact, rally was streamed live online to thousands on both APWU website and on YouTube, and many members viewed it at “watch parties” organized for event. APWU Sec. Treas. Liz Powell introduced a series of fiery speakers – from Tefere Gebre, Exec. VP of AFL-CIO, to Elise Bryant, President of Coalition of Labor Union Women, who led delegation in songs and chants. Rep. Alma Adams (D-N.C.) vowed to fight postal service privatization" YO! The time is now for all current and former permanent-rehabilitation and limited-duty postal employees who were subjected to the USPS National Reassessment Process (NRP) between May 5, 2006 and July 1, 2011 to file a timely claim with the Postal Service to seek monetary damages and other relief. FRIDAY, APRIL 6, 2018 @ 11:00 A.M.
SATURDAY, APRIL 7, 2018 @ 11:00 A.M. CAUTION: The APWU makes no representation about the accuracy or quality of the information being provided by the law firm. The claim form provided by the law firm commits claimants to being represented by these attorneys. Claimants should carefully review the terms of the retainer agreement, including how their chosen representative is paid. Claimants are not required to use a lawyer to make a claim. The APWU cannot endorse the use of any law firm to submit their claims and cannot give legal advice on making claims to the Postal Service or whether to retain legal assistance for any part of the claim process. U.S. representatives Michael Capuano and Stephen Lynch say nearly 100 post office managers are suspected of cheating employees out of overtime pay, according to a letter dated Nov. 30 they sent to the USPS Inspector General. It’s unclear why Boston managers would doctor postal workers’ time cards, but a similar scandal surfaced in 2016 at USPS facilities in Richmond, Virginia. In the Richmond case, postal managers got bonuses in exchange for keeping overtime costs down, according to a pending federal lawsuit. Now Capuano and Lynch are calling for a federal investigation of time card fraud in Boston. 25 Investigates obtained letters from Capuano and Lynch – sounding the alarm to the USPS Inspector General as early as August. Postal employees “were surprised to find several minutes of unpaid leave on their time sheets for times they were actually working, or would have had no reason to punch out,” Capuano and Lynch wrote in a letter dated Aug. 15. The two congressmen followed up with another letter to the USPS Inspector General on Nov. 30, citing “a sense of urgency” to investigate the matter. The letter also cited that postal union leaders had identified more than 7,000 cases of “time manipulations” in less than three years, resulting in nearly 4,000 missing work hours with 97 managers and supervisors suspected of cheating the system. In statements to Boston 25 News, both Capuano and Lynch said the USPS Inspector General’s Office told them it had launched an investigation earlier this month. But 25 investigates discovered the inspector general has yet to open an official investigation. A spokeswoman for the postal inspector general's office said its auditors are still researching the complaint in a “fact-finding process” and it will be weeks before the agency decides whether to launch its own investigation or open the books at Boston area post offices. The spokeswoman could not say why the decision to open an investigation or audit would take months. • Increasing employee pension contributions into the Federal Employee Retirement System (FERS). This could result in a pay-cut of thousands of dollars a year for each FERS postal employee. • Ending the Social Security supplement currently covering the gap in FERS benefits for those who retire before they are eligible for social security benefits. ​• Eliminating pensions for new hires. 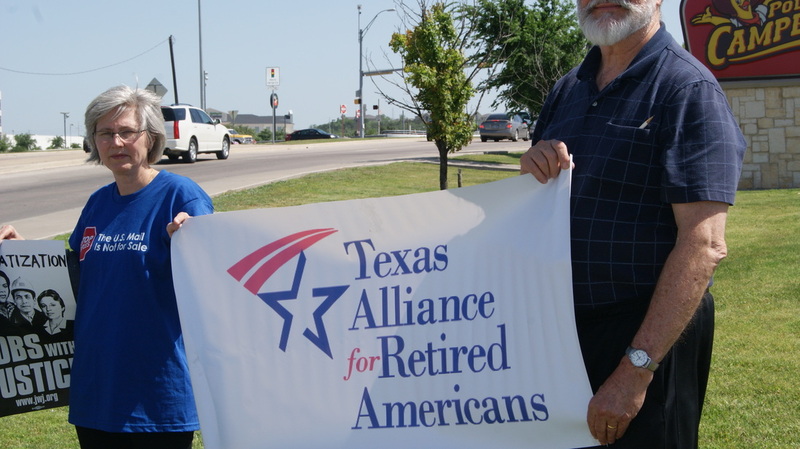 There is also a concern that Cost of Living Adjustments (COLA) on FERS retirement benefits will be eliminated and COLAs on current civil service retirees will be reduced, as previously proposed by the White House. APWU FROM THE NATIONAL TO LOCAL LEVEL FOUGHT TO STOP THIS MADNESS. DON'T THINK FOR A SECOND THAT MANAGEMENT WILL NOT TRY AGAIN. MANAGEMENT OFFICIALS AT HQ LEVEL, THEIR MAIN AGENDA IS REDUCING THE CLERK CRAFT STAFFING BASED ON FAKE PROGRAMS CALLED "DASHBOARD COMPLEMENT AND JOB BID MANAGEMENT". THE LOCAL UNION HAS AND WILL CONTINUE TO FILE GRIEVANCES ON THE EXCESSING FOR THE NEED OF THE SECTIONS, ABOLISHING JOBS AND REPOSTING. The long-expected USPS Excessing outside the Installation, Reversion and excessing for the need of the sections has begun in bits and pieces nationwide, with Nine (11) Installations in our local now being identified as impacted office. Management intended to Excess outside the Installation 180 Full Time Clerk Craft Employees from these offices by September 16, 2017. These are the offices so far Identified as Impacted; Addison, Dallas, Frisco, Garland, Irving, Lancaster, Terrell, Dallas NDC, NTX P&DC, Willis Point, Carrollton. Postal Service is being arbitrary and capricious in the manner they are reverting/abolishing duty assignment in an effort to circumvent the Collective Bargaining Agreement rather than posting the positions for Career employees first and convert the PSE to Career and placed them into the residual vacancies. In order to excess employees outside the Installation Management must follow the CBA. The question is, are these Installations over staffed? Every one of you knows that there are not enough clerks in those Nine (9) facilities, as a result of that management officials are harassing employees, denying annual leave, management officials are working bargaining unit work and employees are forced to work on DBCS alone. Understaff limit the ability to serve the customers and grow the business. Reducing staff makes existing employees responsible for more work, and increased workload adds stress to complete work and meet performance expectations. Increased stress lowers morale and employee job satisfaction, takes a toll on an employee’s mental and physical health and can increase time needed off work. Some of you are experiencing uncertainty of your job and a large number of our members will be impacted as a result of excessing including PSE’s whom work hours will be reduced. Upper management officials are not concerned about their employees, their goal is to reduce work hours at the expense of Bargaining Unit Employees. The following contractual language regarding excessing can be found in the CBA. 1. The anticipated impact, by craft. 2. The installations with available residual vacancies for the employees to be reassigned. 3. When a new installation is involved, the new installation’s anticipated complement by tour and craft. The above information must be updated periodically and provided to the union at the area/regional level. Field managers and/or supervisors should not discuss with bargaining unit employees proposed excessing outside the craft or installation until the area/regional parties have held their discussions. This should prevent employees from receiving erroneous information from management or the union, and control the appropriate flow of information. We will keep you informed as we meet and discuss with management officials at the area level. We will use all available resources at our disposal in addition to filing grievances, we will inform the public through Informational picketing at various stations, social media and all Media outlets i.e., print and broadcast, Contact State and Federal officials to stop these blatant violation of the CBA, I can assure you, we will prevail on these grievances. The buck does not stop here. The Arbitrators have the final say so. 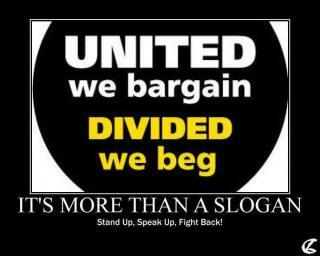 In closing, we as postal workers and union members need to work together to fight injustices. We need to stop bashing each other and the union that is working for us. We need to redirect our displeasure and criticism towards the people who are truly trying to destroy us. We are asking all Locals in the State of Texas to participate in our Human Relations Project at the State Convention on June 9, 2017. To make this a successful event we need all of our Members here in the Dallas Area Local to participate. We are asking you to fill a quart size zip lock bag with as many of the following items as it will hold. If you work in one of the large facilities, turn in your donations to the Union Office to one of the Stewards or drop them off at the Union Office. If you need someone to pick them up call Jenifer Fulbright at 214 725-9441 or Angela Ellington at 214 529-4899 and we will work with you to retrieve those. These bags will be donated to a Local Church to be distributed by their Homeless Ministry. Toothbrush, tooth paste, mini deodorant, hand sanitizer, hand wipes, chap stick, socks, fruit cups, peanut butter crackers, tuna/chicken salad, plastic spoon, any small non-perishable food items, and bottle water. The Staples boycott is over! 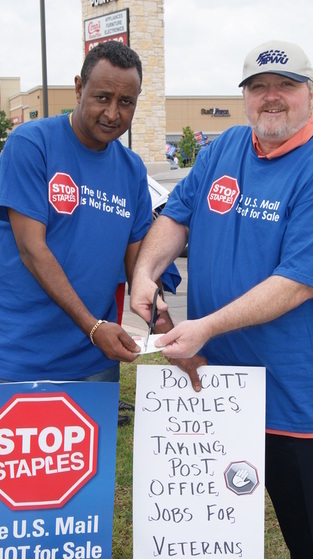 Postal management informed the American Postal Workers Union (APWU) in writing that the “Approved Shipper” program in Staples stores will be shut down by the end of next month, concluding our three-year struggle. I salute and commend you along with every other member and supporter who made this victory possible. I never doubted that if we stayed the course, stuck together and kept the activist pressure on, we would win this fight. This is a victory for all the people of this country who have the right to good quality, secure, and public postal services. It also helps stop the transfer of good living-wage union jobs to low-wage jobs and thwarts postal privatization efforts. I also applaud the many local and state organizations that joined in the fight; allies who honored the Staples boycott; our retiree and auxiliary chapters who stepped up with enthusiasm; APWU National officers and staff who stayed the course; and especially the many Stop Staples activists, active and retired, career and non-career, who worked day-in and day-out to see this struggle through and were the heart and soul of the campaign. "While the U.S. Postal Service is obviously not a product of the New Deal, that same conservative agenda is behind the attack on the Postal Service we're witnessing today. Cutting the workforce, closing post offices and plants, and moving toward privatization through outsourcing and divestiture of assets--these are all part of an effort to shape the postal system in ways that serve the interests of an elite business class rather than the good of the country as a whole. The free-market ideology and greed for profits that drove efforts to undo the New Deal are basically what's driving the 'postal reform' movement today." APWU Family day and Mortgage Burning event was a success, those that came out to the celebration had a good time, thanks to the Members, Officers and Vendors for making the celebration a success. Feb. 19, 2015: On the opening day of negotiations, wear stickers and union T-shirts, caps and other gear as a show of solidarity. Stickers have been mailed to local and state presidents for distribution. Today and every day: Join your local or state Contract Action Team (CAT) to help share information with union members throughout negotiations and spread the word about upcoming activities. If there’s no CAT in your area, help your local president form one! Every APWU member can and should get involved. Take the message to your family, friends and neighbors. New revelations about the security breach in the Postal Service’s data systems are raising additional concerns about this very troubling incident. The APWU remains fully committed to protecting the rights of our members and demanding information from the USPS about what management knew and when they knew it. Unfortunately, it appears the breach was worse than originally thought. Apparently, information regarding OWCP records that were shared with the Department of Labor exposed medical records, bank account and routing information for tens of thousands of employees and retirees. The Postal Service plans to issue follow-up letters to those impacted by the latest findings shortly. Because the Postal Service has refused to bargain in good faith and continues to take unilateral action in response to the data breach, the APWU is pursuing the unfair labor practice we filed on Nov. 10 with the National Labor Relations Board (NLRB). The National Association of Letter Carriers (NALC) and the National Rural Letter Carriers (NRLCA) have also filed charges. The APWU is committed to protecting the rights of our members and will do whatever is necessary to make sure our members are protected and made whole for any damages suffered as a result of the security breach – now and in the future. We are working with our sister unions to ensure that postal employees and retirees receive the information you need and that every effort is made to protect you. I will continue to be personally involved and will keep you posted as more information is obtained. Grand Alliance to Save Our Public Postal Service! Today, the American Postal Workers Union and more than 60 national organizations have come together in A Grand Alliance to Save Our Public Postal Service! In reality, a Congressionally-manufactured USPS “crisis” imposed an unfair crushing financial mandate on the Postal Service that no other government agency or private company is forced to bear. (The Postal Accountability and Enhancement Act of 2006 compels the USPS to pay approximately $5.5 billion per year to fund future retiree healthcare costs 75 years in advance.) Without this unreasonable burden, the USPS would have enjoyed an operating surplus of $600 million in 2013 and over $1.4 Billion in 2014. In this superb two-minute video, actor-activist Danny Glover champions the need for a vibrant public Postal Service and asks the public to join with him in A Grand Alliance to save it.